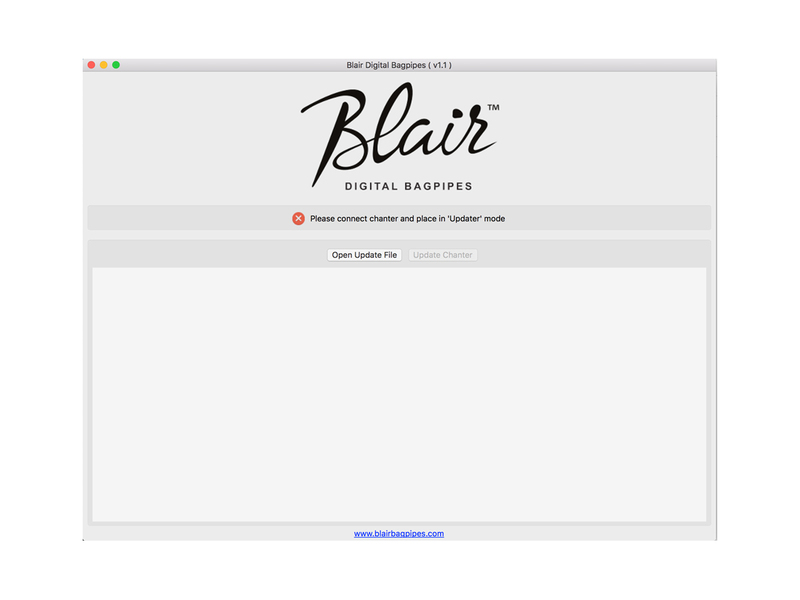 Manage your Blair Digital Chanter via the app for your PC. Upload new sounds, features and firmware. This download is for Windows operating systems 7 and above. On install you maybe prompted with a security warning. 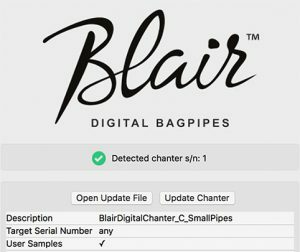 Blair Digital Bagpipes software to manage the firmware and Instrument sounds on your digital chanter. This download is for Windows operating systems 7 and above. 1. 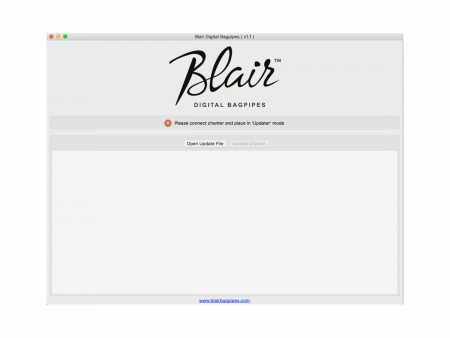 Download the Blair Digital Bagpipes app, install and launch. 3. You should now see the Chanter detected by the app, your serial number in the app window.